After a weekend of intense lacrosse competition in Bel Air, Md., the local Saltwater Lacrosse 2023 boys’ team, composed of youth players primarily from the Delaware beach area and the Eastern Shore of Maryland, qualified to participate in the Warrior World Series of Youth Lacrosse, to be held in Denver, Colo., July 2-4. The Warrior World Series of Youth Lacrosse invites the nation’s top 13U boys’ lacrosse teams to compete in one of six U.S. regional qualifiers, of which the tournament in Bel Air, Md., was one. The top teams from each region advance to the championship series in Denver, where they will play against the best teams from the other regions and a select group of international teams, including teams from Israel, Canada and the Iroquois Nation. The championship game will be played at Sports Authority Field at Mile High on July 4 and broadcast live on ESPN2. Tom Pickard and Pete Coveleski, head coaches of the Saltwater 2023 team, led the team through six games in one recent weekend to qualify them for the World Series. 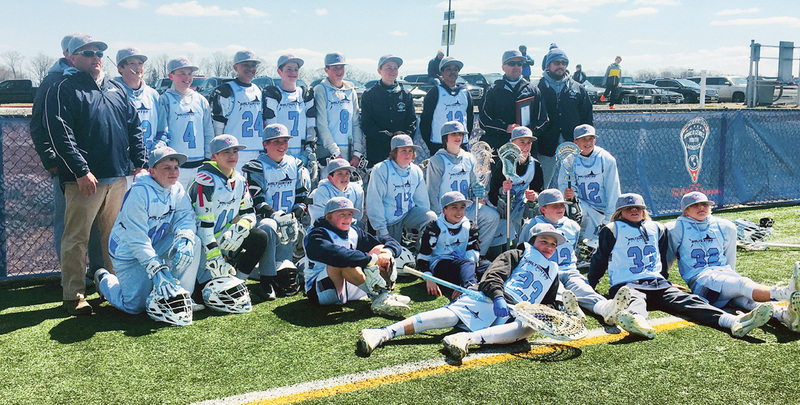 Both have sons on the team and have spent years with this group of players as many have been part of the local Atlantic and Beach lacrosse programs. The club plans to hold a variety of different fundraisers over the next three months to help defray the cost of the trip to Denver in July. So far, the club has partnered with Chipotle for a donation day at their Rehoboth Beach and Ocean City, Md., locations on Monday, May 21, when the restaurant will donate 50 percent of their proceeds to the team. The mission of the Saltwater Lacrosse Club is to promote the great game of lacrosse to boys and girls of the Eastern Shore of Maryland and Delaware, providing a safe and fun opportunity for the players while emphasizing the importance of good sportsmanship and teamwork. Anyone interested in contributing to the team’s travel expenses can contact Greg or Dennis March at (443) 528-9029 or dennism@saltwaterlax.com.